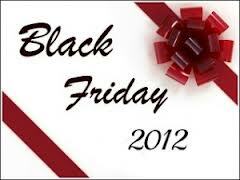 My Opinion and More: MY TEN TIPS FOR SHOPPING ON BLACK FRIDAY DAY. Black Friday shopping is to get the best deals you can on the items you really want. Often though not always electronics items are at their lowest prices of the year on Black Friday, and it’s easy to get caught up in the shopping frenzy and spend more than you you really want to. So here’s a list of Black Friday shopping tips that should help ensure you get not only the best deals, but also some peace of mind once you bring the item home. you wrote things i never thought, thanks very helpful reviews.